Where is the most likely place to find heaven? Most people probably would not say in a divided country, but that is exactly where a notorious English musician is heading to find freedom. The year is 1985, and in order to escape his family, a man flees London and travels to East Berlin. The glamour of his new life does not last though. It is not long until his son arrives, and forces him to face his past. 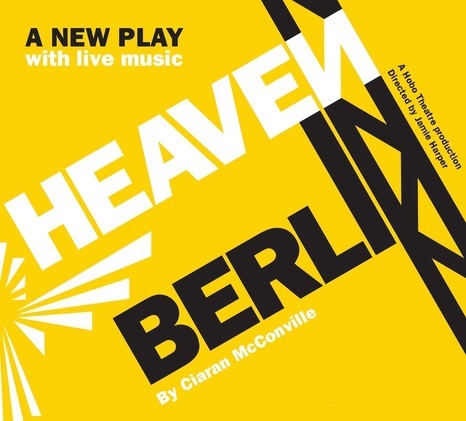 Heaven in Berlin is a new play directed by Jamie Harper. Written by Ciaran McConville, it is loosely based on Shakespeare's The Tempest, and tells a story about family, freedom, and the supernatural. During the 1980s, East Berlin was a city 'island'; a place where western culture was still enjoyed through music, art, and literature. To emphasise the mood, live music becomes an integral part of the production. The staging is also important. Heaven in Berlin is being performed by the Hobo Theatre Company on Testbed1 until the 23rd October. Testbed1 is a non-theatre space, and its raw surroundings, adds to the atmosphere of the East German setting. Tickets to the show are £14.50 across the board.